It is very likely that at some time you have experienced twitching of the eyelids. If it has gone on for a while then you will know bothersome it can be. Twitching of the eyelids is caused by a contraction of the orbicularis muscle in the upper or lower eyelid. It may suddenly appear and last for a few seconds, a minute, hours or even days. Although we have the impression that everyone can see the twitch, the majority are so small that they are undetectable to the eyes of someone looking at our face. The majority of twitches are harmless and do not affect vision in any way (eyelid myokymia). Nevertheless, there are certain neurological problems that can cause the eyelid muscles to contract. One example is blepharospasm or hemifacial spasms. This type of condition, which is much less common, usually causes the eyelids to close completely and for longer periods of time, making it difficult to see. In addition, other facial muscles can also be affected. In this case, you should see an oculoplastic ophthalmologist to evaluate the case and treat it as required. 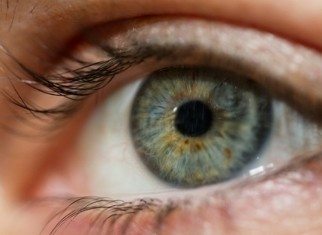 For most people, twitching eyelids cause only brief and mild discomfort. If the twitches cause greater discomfort then certain measures may be taken to help them disappear. Twitching of the eyelids often occurs when we are too tired, so taking a break and enjoying some restorative sleep can help to make the twitching stop. 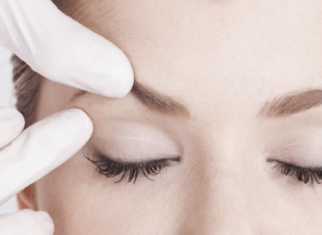 Being under pressure over an extended period of time can cause ticks of the eyelids. If we cannot remove the source of the stress, then we should try to take part in activities that help us to reduce it. Stimulants such as caffeine and tobacco can cause eyelid spasms. Reducing our intake of tobacco, coffee, tea and other drinks that contain stimulants can help to reduce these eyelid ticks. In some cases, eye irritation or eye dryness can cause spasms in the eyelids. If you suffer from eyelid twitching or a frequent sensation that you have something in your eye then you should see your ophthalmologist.